The Meredith Alumnae Association and Office of Career Planning have launched an online mentoring program called Meredith Mentors. 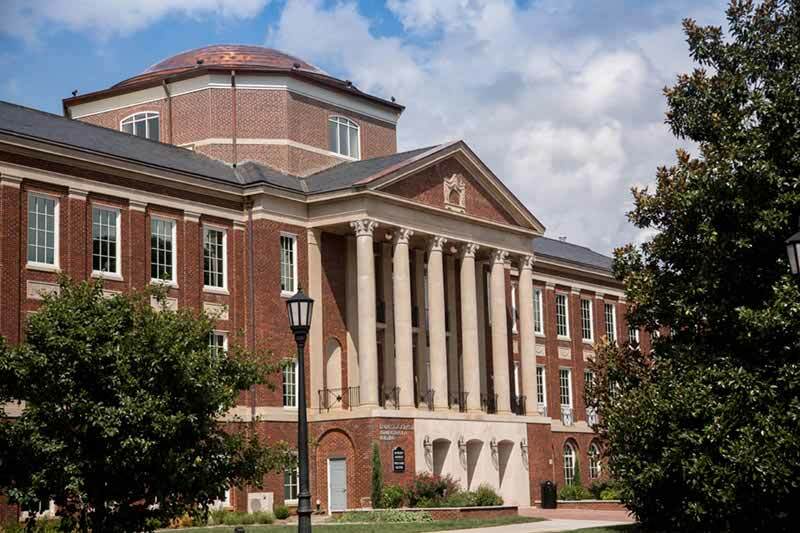 The new platform will connect current students, alumnae/alumni, faculty, and staff enabling them to support each other professionally and personally through a short-term connection or long-term relationship. 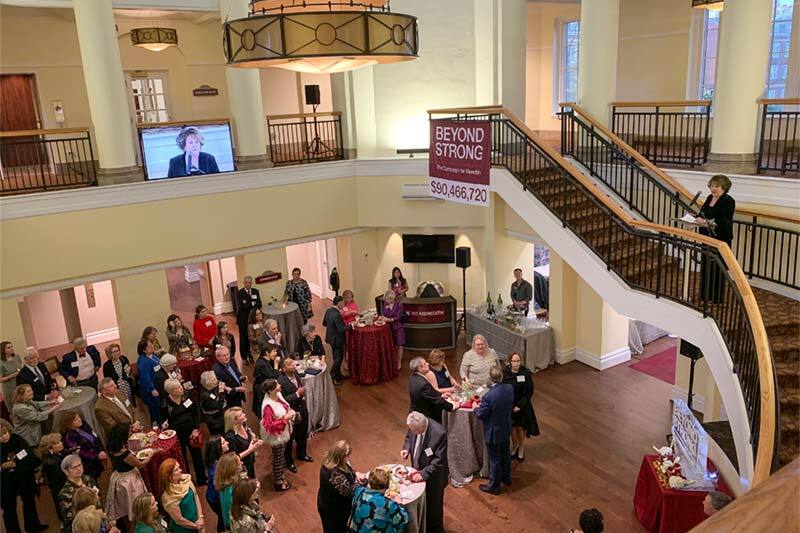 On Thursday, March 21, Institutional Advancement held a celebration for major donors to Beyond Strong│The Campaign for Meredith. 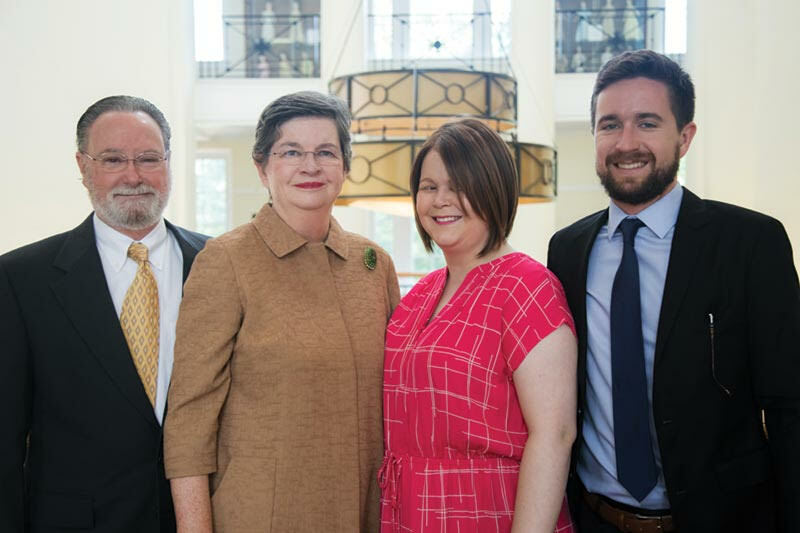 The event recognized their generous support of the Campaign and thanked them for ensuring that students, faculty, and staff have the resources they need to thrive at Meredith. 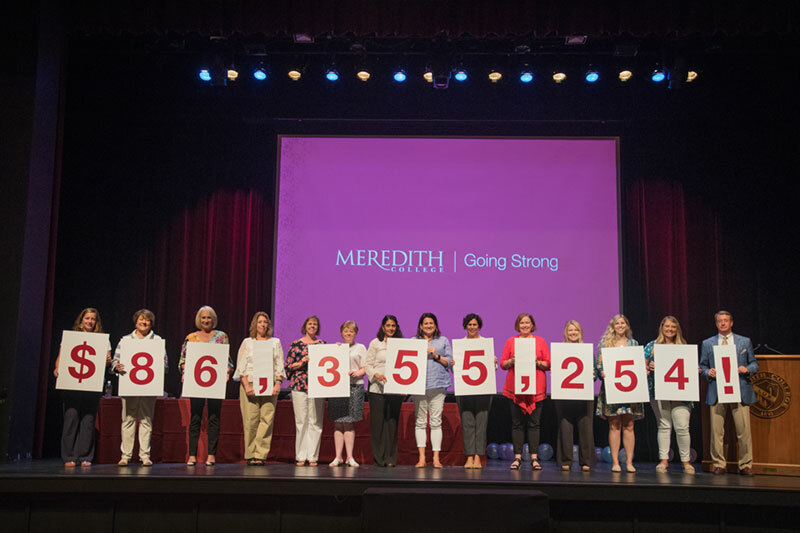 Beyond Strong │The Campaign for Meredith, the largest fundraising campaign in the history of Meredith College, has raised more than $90 million, surpassing the $75 million goal by more than $15 million. The total was unveiled during the College’s Founders’ Day celebration on February 27. 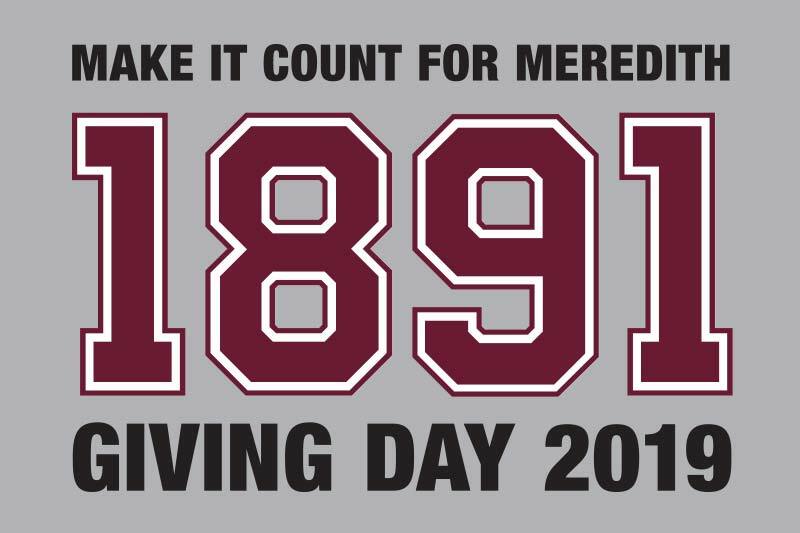 Meredith College’s fourth annual Make It Count for Meredith Giving Day exceeded its $400,000 fundraising goal by more than $130,000. Donors gave a total of $536,877 in 24 hours on February 26, 2019. 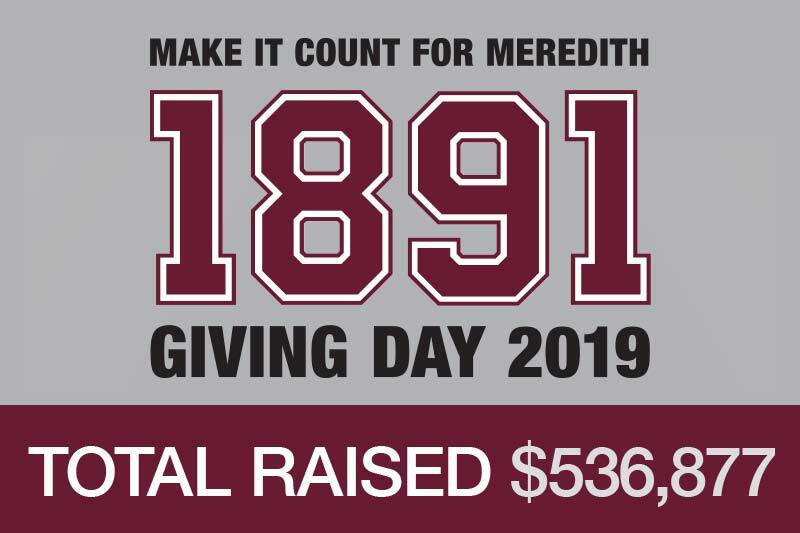 After the initial monetary goal was met by 7 p.m., the focus turned to exceeding the goal and to reaching the goal to have 1,891 donors in honor of the College’s founding in 1891. By midnight, 2,123 donors helped push the day’s giving to 134% of the initial goal. The fourth annual Make It Count for Meredith Giving Day is Tuesday, February 26, 2019. 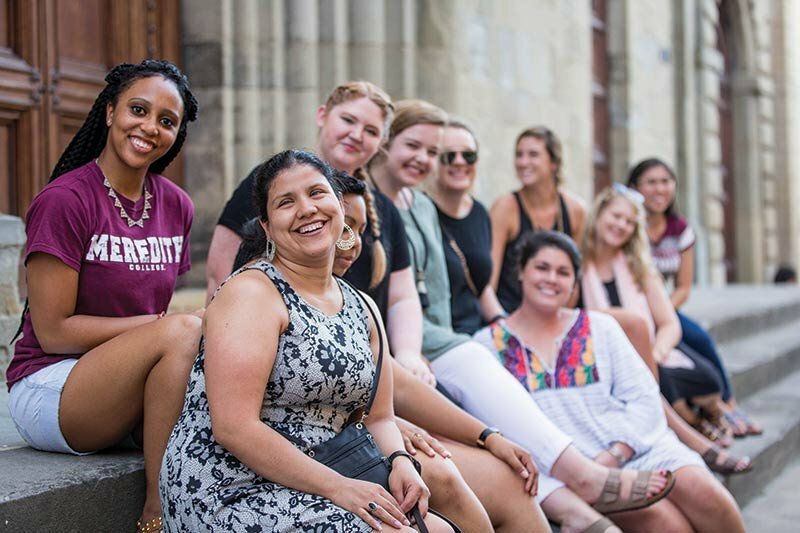 This 24-hour giving challenge aims to raise $400,000 and The Meredith Fund is asking donors to recognize a strong woman in their life and honor her with a gift. Emily Hines Harper, ’09, may have graduated only nine years ago, but her impact at Meredith College has already been felt by the school’s alumnae and soon will be by future students. Meredith College mourns the loss of Cleo Glover Perry, former director of alumnae affairs, who died on November 8, 2018, at the age of 94. 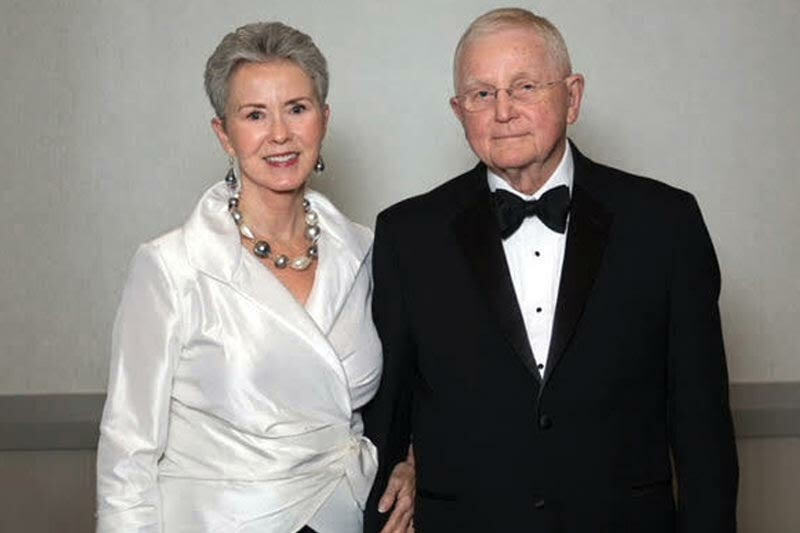 Perry, a member of Meredith’s Class of 1945, served her alma mater for more than a decade, including as the College’s fourth director of alumnae affairs. 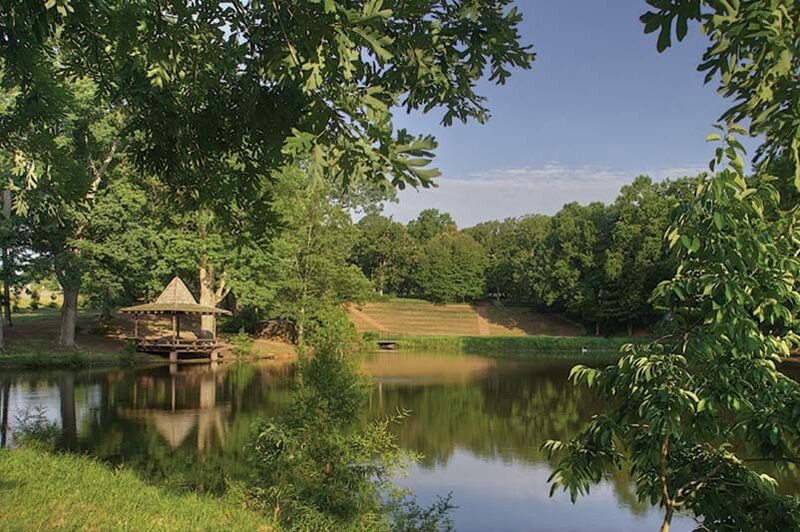 Bonnie Scott Truelove, ’71, and her husband, Jerry, have a love for traveling, but their home in Raleigh and her Meredith College friendships always draw them back to the Piedmont of North Carolina. 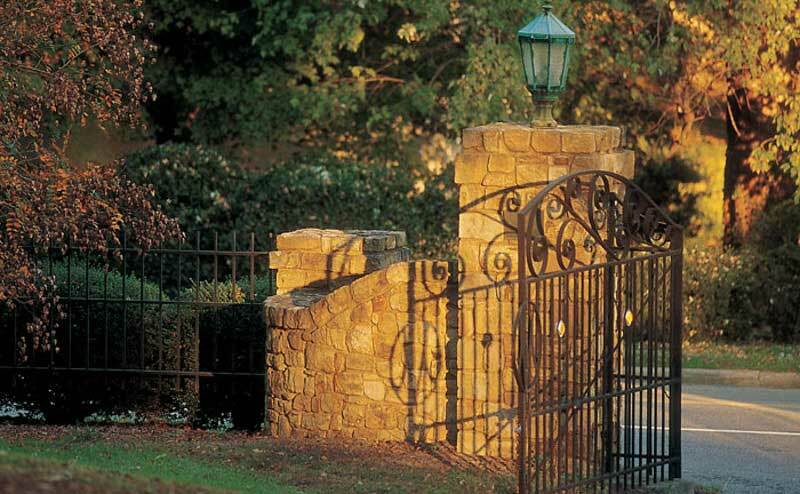 The Parents Fund raised $83,526 in 2017-18 to enhance security elements on campus. Parents’ support of the campus community each year is invaluable. 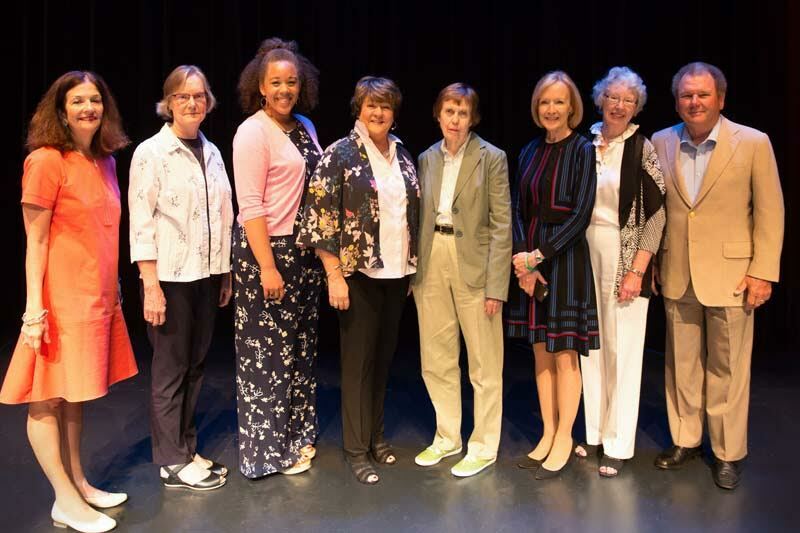 Meredith College alumnae gathered on campus May 18-20 for Meredith Alumnae Reunion Weekend. More than 600 were in attendance for the weekend of events. For their senior gift, the Class of 2018, has decided to support the newly established Traditions Fund to provide opportunities for future Meredith Angels to participate in traditions and events. 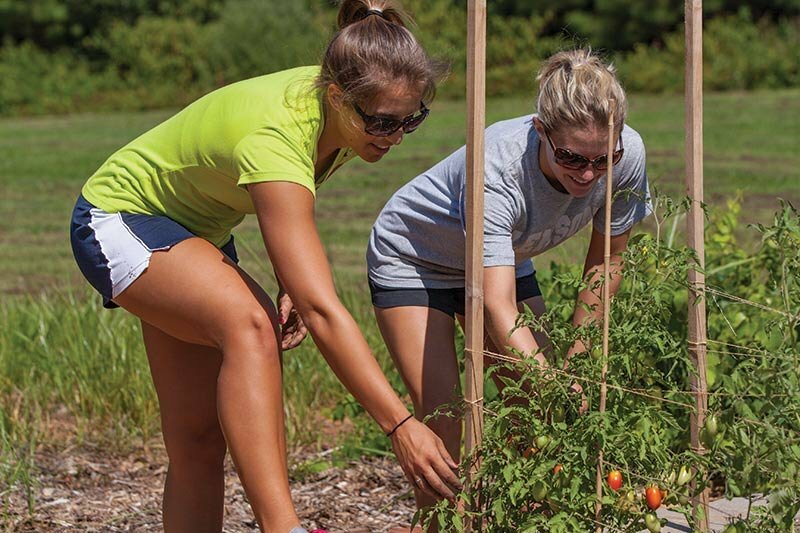 The Dickson Foundation has recently given a $250,000 gift to name the garden on campus the Dickson Foundation Community Garden. 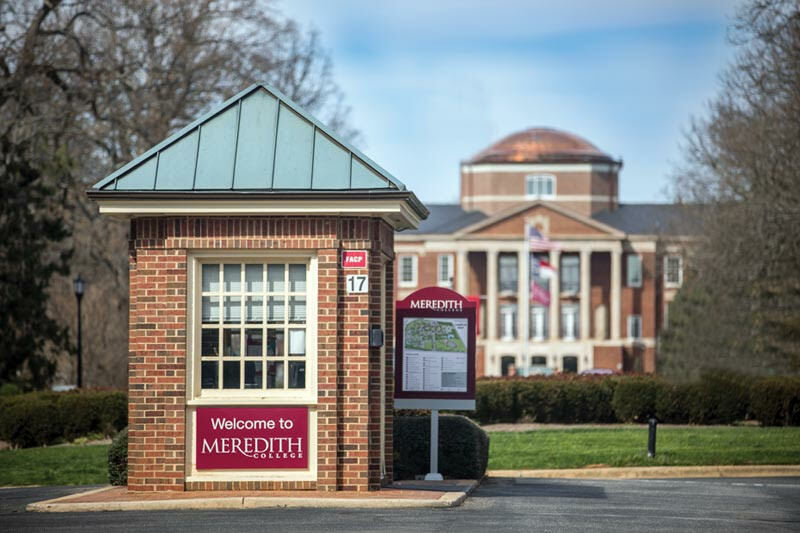 Meredith College is pleased to announce that an anonymous donor has recently given a $1 million planned gift to the Sansepolcro program. The gift will support scholarships and maintenance of the Palazzo Alberti, the living and learning space for Meredith students and faculty.